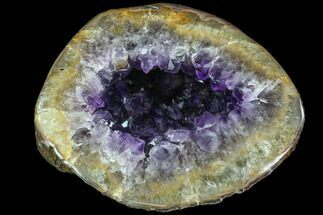 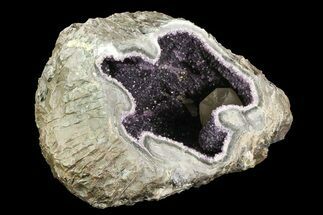 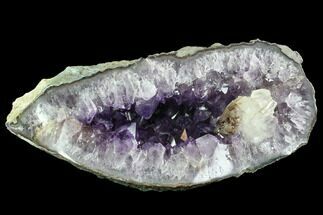 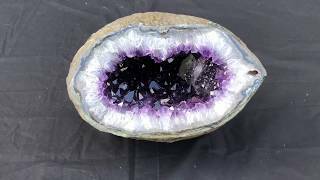 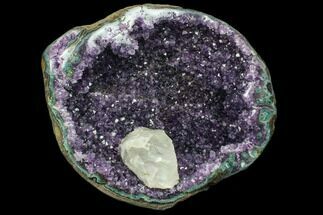 This is a 9.8" wide amethyst geode from Uruguay. 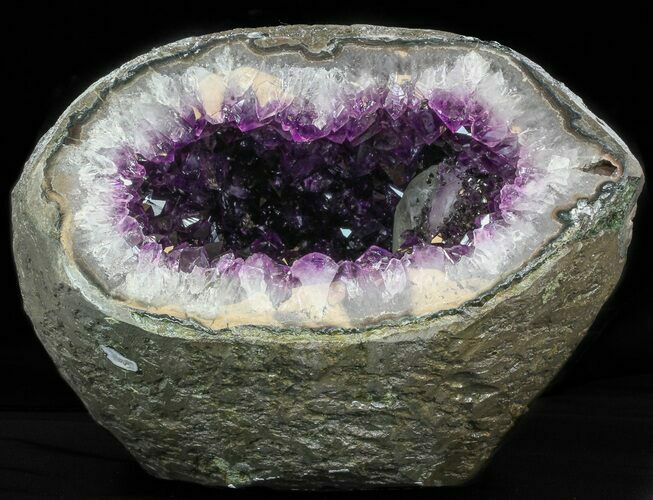 It weighs 22-1/2 lbs and is full of sparkling, deep purple amethyst crystals surrounded by clear quartz. 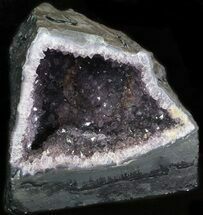 The base has been cut flat so it presents well anywhere. 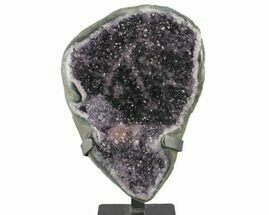 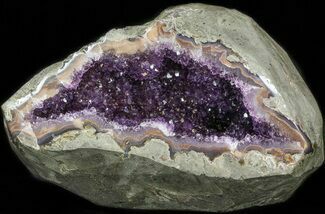 Nice violet colored crystals with good sparkle in this specimen which makes a nice decorative piece. 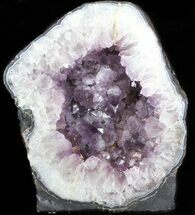 The large calcite crystal is partially covered in droozy amethyst.